Kyle Smart Associates Limited successfully negotiated Planning Approval for 12no. 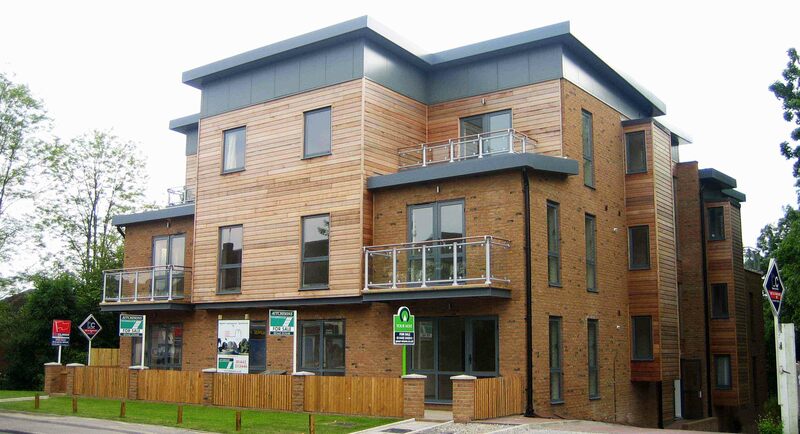 private one and two bedroom flats on a tight sloping site, formerly occupied by a large detached house. The scheme involved a partially sunken underground car park within the hillside with the new flats rising above. 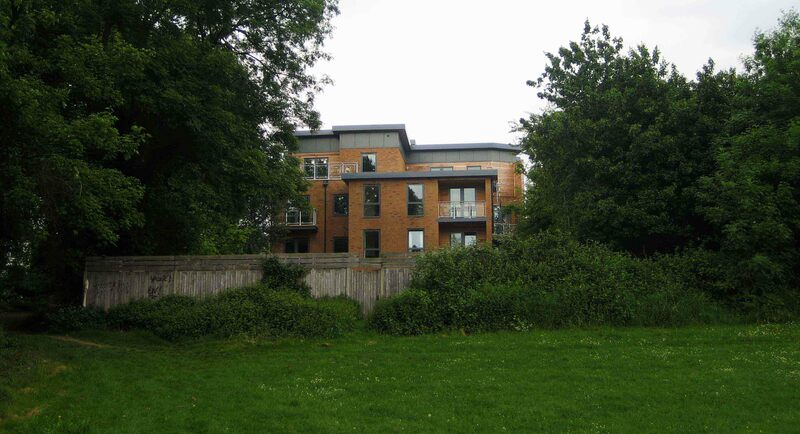 Rear facing flats have been afforded views towards the pocket park and woodland leading to the Grand Union Canal to the south west of the site, while the flats on the front elevation have been provided with either street facing gardens or external balcony areas. A novel approach was taken with the windows on the south elevation to overcome concerns of overlooking neighbouring properties, with angular wall panels restricting southernly views from the building but allowing windows to view east and west allowing natural daylight into the building.